Where do I enter my staff’s availability? Employees usually sign in and enter their own work time preferences (when they prefer to work, or when they prefer not to work). 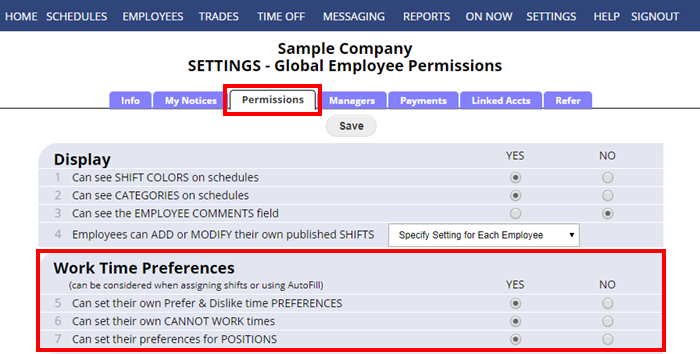 You can also allow them to enter their own “Cannot Work” times by allowing that option on your SETTINGS>Global Employee Permissions page. These preferences can be used later by AutoFill to create the best work assignments each week. Employees can also sign in and request “Time Off” which you as the manager can approve or deny. Approving time off can remove them from any conflicting shifts automatically. 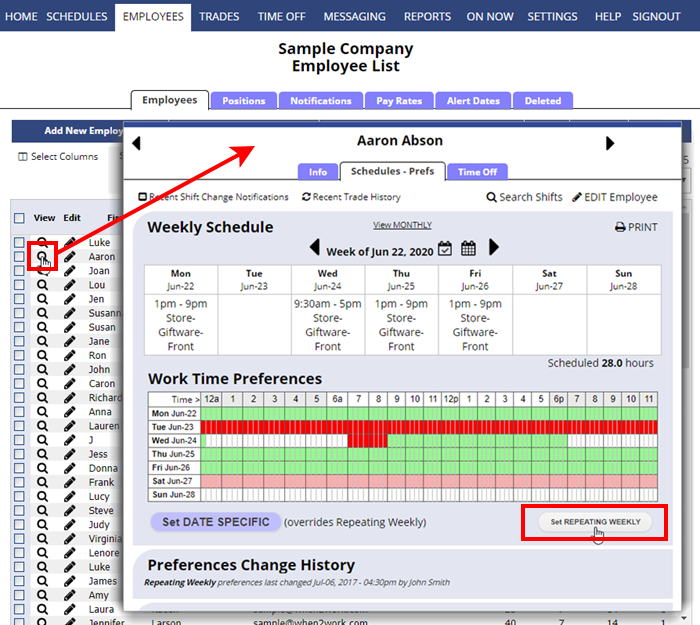 If you prefer to enter all Cannot Work times yourself, you can do so by clicking the pencil icon next to the employee name to open the employee details page and then on the second tab, Schedules – Preferences, you can first click to enter their Repeating Weekly Preferences. Set those days and times that are their regular preferences, and then if you have preferences for a specific date that are different, you can click the button to Set Date Specific Preferences. Note: WhenToWork does not create shifts based on employee preferences, it assigns shifts based on those preferences.